This is where I’ve been this evening: if you can give blood, you really should too. For more info and to make an appointment, log on to blood.co.uk or call 0300 123 23 23. Shocking pink lipstick isn’t compulsory. 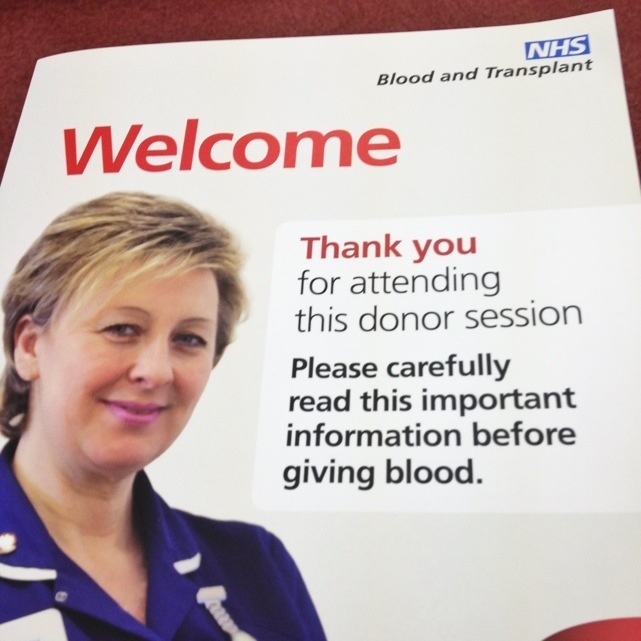 This 1,533rd post was filed under: Photo-a-day 2012, Blood donation.